Rojo Gusano chef/owner Dudley Nieto puts his global spin on Cinco de Mayo, offering a 5-course Cinco Feast at a special price of $24.99. The Feast is available 4pm to 10pm, Friday May 5 and Saturday May 6, at Rojo Gusano's two casual, beach-themed locations, 3830 West Lawrence, and 4217 North Ravenswood, Chicago. Choice of any three guacamoles, including spicy pumpkin seed with chipotle-caramelized pineapple (left). 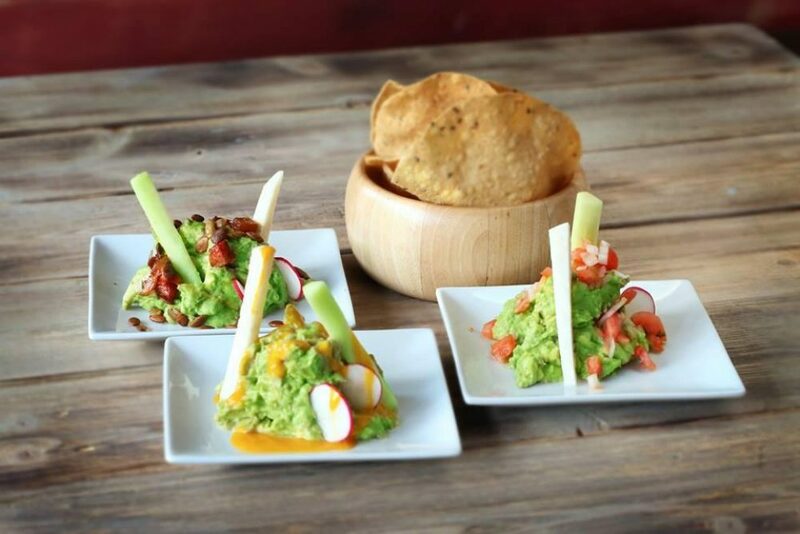 The Cinco Feast allows guests to explore Rojo Gusano's most popular menu items, starting with choice of salsas, plus any three guacamoles -- including spicy pumpkin seed with chipotle-caramelized pineapple. From there, choose any four of Chef Dudley's dozen globally-inspired taco mash-ups, like Green Curry Shrimp with Asian cabbage, Pork Belly with red pickled onion, Chicken Tinga with Farmers cheese, housemade crema, teamed with any two sides , including Esquites with chipotle mayo and cotija cheese. The Cinco Feast concludes with choice of desserts, including Chocolate Tamal - Mexican and Belgian chocolate flourless cake, steamed in a corn husk, with vanilla bean ice cream, and raspberry puree. 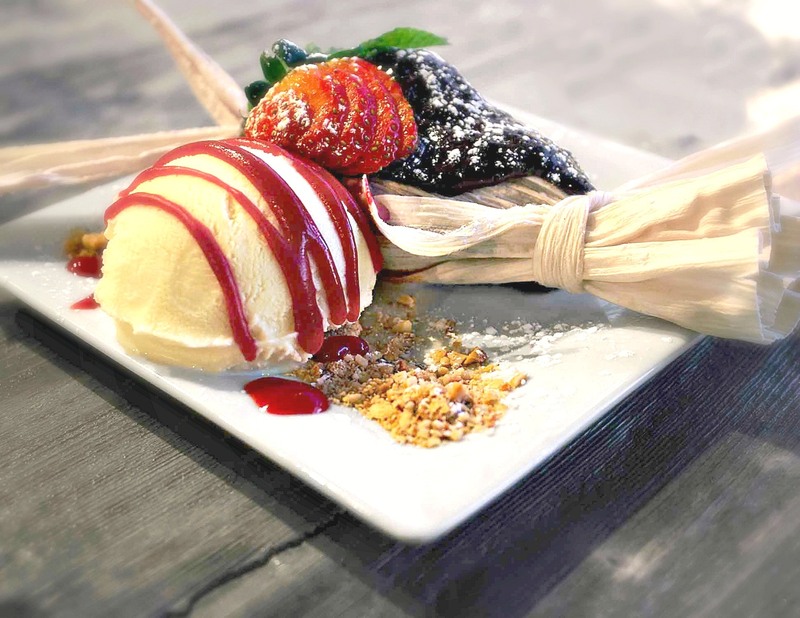 Desserts include Chocolate Tamal - Mexican and Belgian chocolate flourless cake, steamed in a corn husk, with vanilla bean ice cream, and raspberry puree. Both locations feature outdoor patio seating. Rojo Gusano's Ravenswood location is BYOB, while the Lawrence Avenue location offers full bar service, and will feature $5 Margaritas Friday May 5 and Saturday May 6.